The Light of Other Days tells the tale of what happens when a brilliant, driven industrialist harnesses the cutting edge of quantum physics to enable people everywhere, at trivial cost, to see one another at all times: around every corner, through every wall, into everyone's most private, hidden, and even intimate moments. It amounts to the sudden and complete abolition of human privacy - forever. The Western Front, 1916. Private Percy Blakeney wakes up. He is lying on fresh spring grass. He can hear birdsong and the wind in the leaves. Where have the mud, blood, and blasted landscape of no-man's-land gone? For that matter, where has Percy gone? Madison, Wisconsin, 2015. Police officer Monica Jansson is exploring the burned-out home of a reclusive - some say mad, others allege dangerous - scientist who seems to have vanished. Sifting through the wreckage, Jansson find a curious gadget. 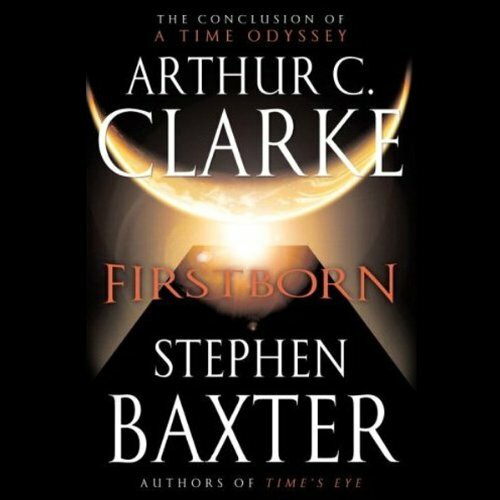 The Firstborn, the mysterious race of aliens best known as the builders of the iconic black monolith in 2001: A Space Odyssey, have inhabited the writing of science fiction master Arthur C. Clarke for decades. 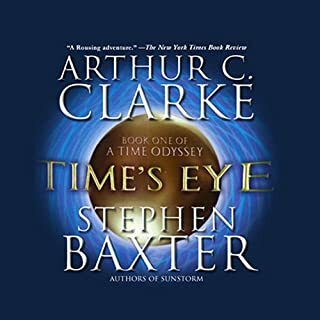 In the first two books of his acclaimed Time Odyssey series, Clarke and co-author Stephen Baxter imagined a near-future in which the Firstborn seek to stop the advance of human civilization by employing a technology indistinguishable from magic. That fate was narrowly averted, at an inconceivable price. But now, 27 years later, the Firstborn are back. This time, they have sent a "quantum bomb" speeding toward Earth, a device that human scientists can barely comprehend, let alone stop or destroy. But when shocking new insights emerge about the nature of the Firstborn and their plans, an unexpected ally appears from light-years away. 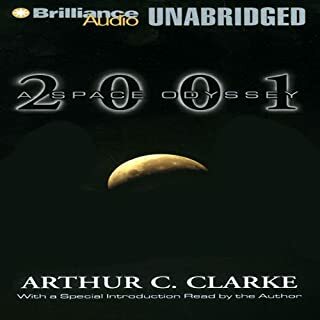 ©2007 Arthur C. Clarke and Stephen Baxter (P)2008 Blackstone Audio, Inc. The end to the Trilogy! What did you love best about Firstborn? The way the story all tied together. The three books are very different but the main message seemed to be the indomitable strength of the human spirit to never give up. Give it a happier ending? Then it wouldn't be the same book though, right? He is always wonderful, his nuances on different words and characters he portrays are certainly his greatest strengths. The ending. Three women coming together, all I can say without being a spoiler. 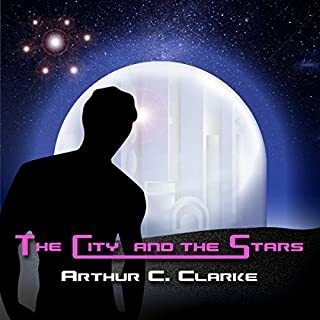 Arthur C Clarke was able to take all of his works and tie them into this trilogy. The firstborn from 2001 and the space elevators from Fountains of Paradise and even a bit of Rama thrown in. I am very happy I took the time to listen to this trilogy, it helps me to remember that maybe humans aren't the greatest things in the universe, but we may be the most tenacious! I enjoyed the first book and continued on to book 2 because I wanted to see what happened. I didn't enjoy book 2 as much as I enjoyed the original, but the plot was still able to keepy attention. I moved on to book 3 thinking, as the title suggests, this would be where mankind confronts the First Born, but what I got was a lot of pointless dialogue and slow storytelling. The writing has drifted far away from that of the first book. Unlike book 1 (and even book2), I struggled to get through to the end, and only did so for the payoff of having concluded the series. If you're reading this you're probably too deep in the series to quit now (something about curiosity and cats), but if you're reading comments on the entire series before digging into book 1, be warned, book 3 is a let down. The story starts with a reminiscing of 2001- A Space Odyssey and moves into a world of puzzles and paradoxes. Then folds neatly into a chronicle of mysterious aliens and an apocalypse threatening humankind. To comment on the story would give away the twists and turns of the plot, so I won’t, but all three books are worth owning. I encourage getting all three in the series. One point of contention...as in most all space faring Sci-Fi books, Canada is conspicuous by its absence in this story. As a prominent space faring nation with long ties to NASA and the ESA, Canada contributes to the exploration in space as well as any other country and more. Canada is never really mentioned. Egypt, Sri Lanka and African nations are held up as more predominant in peaceful space exploration ...really? And Russia – always the “sort of” poor cousin that shows up family dinners. Maybe it’s a marketing decision for the U.S. audience. 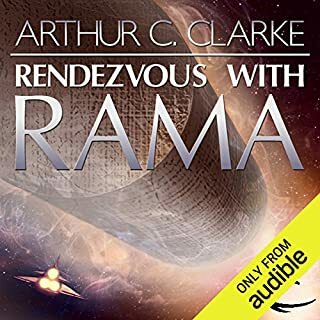 Still a worthwhile series of audio books to have. I was hoping for a little bit better ending than that. No real resolution to any of the plot archs in the book. Feels like they got tired of writing and just decided to stamp a "The End" in the middle of the page. A real let down. An excellent finale for the trilogy. Let's be honest: If you followed the story so far, you might as well finish it. Excellent read. A little over my head with some of the scientific theories, but still an enjoyable read. Can't wait for the next book in the series. where are the first born? For the most part I really enjoyed the third book in the time Odyssey, but where are the first born? That's the title of the book. great weaving together the imagination and science. I longed to know more and I certainly hope there is a book 4. I am a fan of Clarke's works and somewhat of Baxter's. Their collaborations have put out some good stories with this Time Odyssey Series being one of them. I was hoping for a decent conclusion to this, but was left wanting by the end. The story seemed to meander a bit too much for me towards the end, but overall it was good. This is the second narrated story by John Lee I have experienced. During the first one, I wasn't too impressed, but I'm a better fan of this work. I still think his accent get's in the way at times, but his range of male voices is impressive. A good job all around. Felt like there should be another book though. I know Clarke isn't with is any more but hour about Mr. Baxter? Clarke's world view is stuck in the 1960s, a world dominated by powerful governments and gigantic government projects, cold wars, military endeavors, bureaucracies, government experts, and global action. Oh, he realizes that there are problems with this system, his bureaucrats sometimes bumble, and he longs for and increase in participatory democracy through technology and AI, but he is simply incapable of articulating or imagining how human society actually might progress. Technologically, his science fiction also seems somewhat dated and at times inconsistent. Why bother with all this messy spacetime reassembly of worlds of you could simply store and simulate people and environments? Even more fundamentally, how does life supposedly use up exergy any faster than having it dissipate naturally? The energy given off by stars dissipates whether or not life forms uses it. Probably the most enjoyable aspects of the series are the historical vignettes, in particular of the first two books. Referring to Stuart's comments above I concur entirely. Excellent storyline following on from the first two books. The death of Clarke recently should not have any bearing on the next (hopefully) installment. These books are very much Stephen Baxter, with all his softscreens and nano engineering. His is a very distinctive style also including his odd names for the main characters. Others include an astronaught called Malenfant, and a Morlock (Time Ships) called Nebogopfil ! Bisesa Dutt is another funny name. The ending of this third book very much leaves the door open for another one with lots of softscreens ,funny names and Kensington (London) locations!! A great listen that kept me gripped all the way through. This book is definately worth a listen if you have enjoyed the rest of the Time Odyssey. However be prepared for the unresolved story. The final chapter hints at a much greater plot to be unveiled and a resolution to the Firstborn but since the death of the Arthur C. Clarke this year we may never get to read it. I just hope Stephen Baxter decides to continue the series. Three books had me absolutely engaged from start to finish. What other book might you compare Firstborn to, and why? 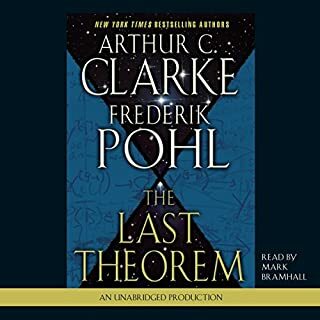 Having listened to the first two in the trilogy (from my library) I wasn't disappointed by the finale. Excellent narrative, completely believable plot and fabulous storyline. 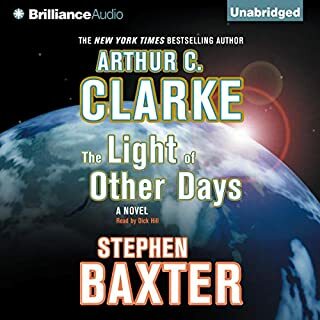 Clarke and Baxter have created a world which draws the reader in and delivers again and again. Perfect balance between sci-fi story and scientific reality. There's another book in this. Have Steve and Art written it? Have audible 'published' it? Book on book. But Audible UK don't have book 4 or 5 poor service in Europe. Just the same poor blank answers from them. Well, for super intelligent ancient Aliens, the first born! their pretty useless at wiping out emergent intelligent life. Has Firstborn put you off other books in this genre? Was Firstborn worth the listening time? Only just, i'll try listening again, only to see if i can find a bit more of Asimov in it. A terrific journey; well worth the money. Arthur C Clarke is a visionary. Too bad there is no more.